Filmmaker Roman Polanski, who as a boy growing up in Poland watched while the Nazis devastated his country during World War II, directed this downbeat drama based on the story of a privileged musician who spent five years struggling against the Nazi occupation of Warsaw. Wladyslaw Szpilman (Adrien Brody) is a gifted classical pianist born to a wealthy Jewish family in Poland. The Szpilmans have a large and comfortable flat in Warsaw which Wladyslaw shares with his mother and father (Maureen Lipman and Frank Finlay), his sisters Halina and Regina (Jessica Kate Meyer and Julia Rayner), and his brother, Henryk (Ed Stoppard). While Wladyslaw and his family are aware of the looming presence of German forces and Hitler’s designs on Poland, they’re convinced that the Nazis are a menace which will pass, and that England and France will step forward to aid Poland in the event of a real crisis. Wladyslaw’s naivete is shattered when a German bomb rips through a radio studio while he performs a recital for broadcast. During the early stages of the Nazi occupation, as a respected artist, he still imagines himself above the danger, using his pull to obtain employment papers for his father and landing a supposedly safe job playing piano in a restaurant. But as the German grip tightens upon Poland, Wladyslaw and his family are selected for deportation to a Nazi concentration camp. Refusing to face a certain death, Wladyslaw goes into hiding in a comfortable apartment provided by a friend. 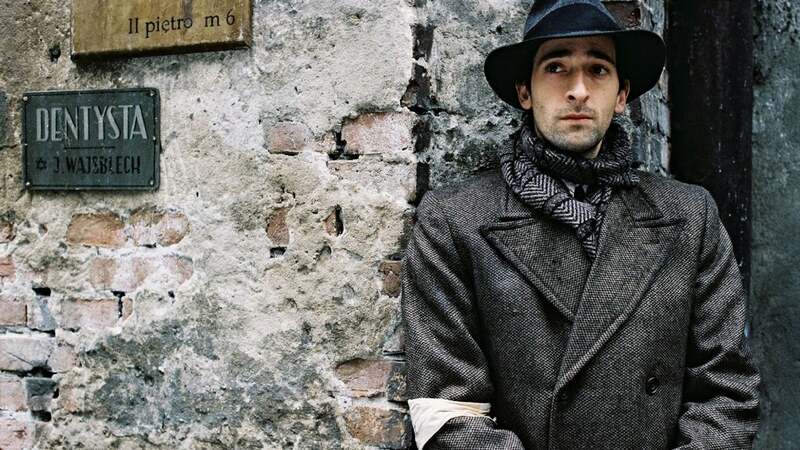 However, when his benefactor goes missing, Wladyslaw is left to fend for himself and he spends the next several years dashing from one abandoned home to another, desperate to avoid capture by German occupation troops.